Process Related – whether it is the cleaning process, the metal fabrication process such as cold working, heat treating or machining or the handling process, this aspect of producing a metal part is a primary contributor of corrosion. 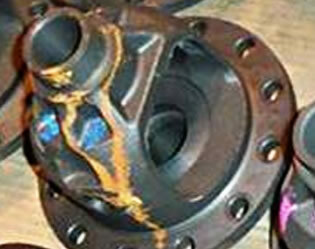 Much of what is seen in terms of corrosion problems, happen inside the manufacturing plant before it’s even packaged. With so many variables inside of a manufacturing setting, maintaining tight control of your processes is critical to preventing rust. Packaging Related – the type of packaging used to package metal parts is important. Acidic materials such as corrugated and non-treated paper can hold moisture and cause corrosion. Sometimes in a companies’ desire to fix a corrosion problem they add more packaging, when in fact the additional packaging can contribute even more to the rust problem. Environmental – while the weather (temperature and humidity) can certainly be the most obvious environmental factor, other things such as contaminants in the air pose equal areas of concern. 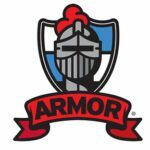 As an industry leader in corrosion management products, Armor Protective Packaging® recognizes that offering a high-quality, effective product is only half of the job. Providing unsurpassed customer service is just as important and is the backbone of our company’s oath To Serve and Preserve™. 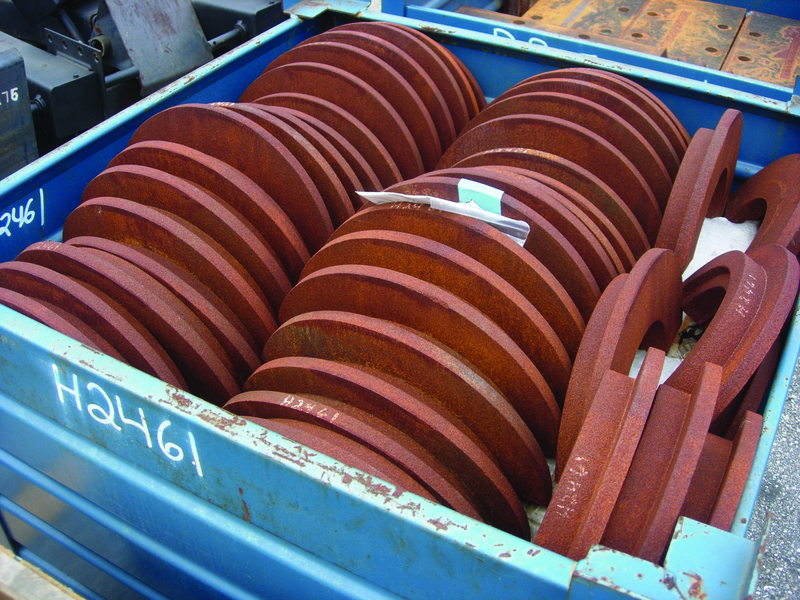 As part of our service to our customers, we’ve developed a tool that helps identify the typical types of rust that exist in a manufacturing process or shipping. Knowing the type of rust helps in the identification of why it has rusted. Rust from Iron (III) oxides forms due to high oxygen and water exposure resulting in red rust. Red rust is the result of heavy exposure to air and moisture, combined many times with a contaminate (salt). This type of rust is most likely atmospheric because typically there are no signs of rust runs or streaks on the metal parts/equipment where the rust has formed. With red rust, there is uniform corrosion, most often from a very corrosive environment. Rust from Iron (III) oxides that is a very soluble iron oxide results in yellow rust. 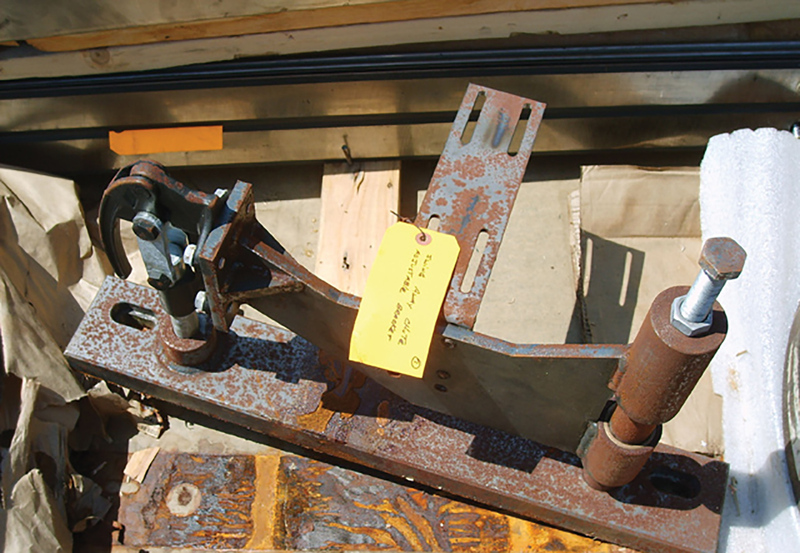 Yellow rust is distinguishable in recessed areas of the metal parts/equipment where the rust “runs and drips” (solvated rust). Yellow rust forms as a result of very high moisture content. It frequently found in settings where puddled/standing water has most likely been present. Rust from Iron (III) oxides with high oxygen and low moisture results in brown rust. Brown rust is a drier rust than those mentioned above. It is most likely atmospheric – having formed as a result of water and oxygen in the atmosphere and presenting as a reddish-brown crust on the metal’s surface. Brown rust is sometimes localized rust which appears as non-uniform spots or only in certain areas rather than over the whole surface. It can be the result of a contaminate on the metal’s surface often originating from the manufacturing process. Rust from Iron (III) oxides with limited oxygen and low moisture results in black rust. Black rust can be visually identified as a thin, black film which is the result of oxidation in a low oxygen environment. 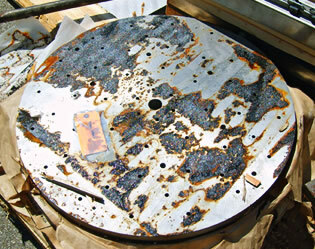 Black rust has an appearance of almost a black stain. Most likely the areas exhibiting the black rust had something covering them, which prevented oxygen from reaching the surface. 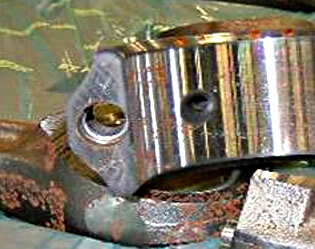 This type of rust is a more stable rust layer that does not propagate as rapidly as other rust forms. Brown rust has a lower moisture content and is most likely the result of atmospheric conditions. Settings where black rust might form include wet paper resting tightly against a metal surface. Yellow rust has a high moisture content and can frequently be attributed to an environment where water is most likely present. If you’re experiencing corrosion problems, contact an ARMOR corrosion specialist to schedule a visit for a corrosion audit. Found your type of rust? Our family of products can take care of it!